27/05/16 -- EU grains finished mixed at the close of the week, with Jul 16 London wheat up GBP0.05/tonne at GBP106.55/tonne, Sep 16 Paris wheat down EUR0.25/tonne at EUR167.00/tonne, June corn was EUR01.75/tonne higher at EUR171.25/tonne and Aug 16 rapeseed was down EUR0.25/tonne to EUR374.00/tonne. For the week, London wheat fell GBP0.45/tonne, Paris wheat rose EUR3.50/tonne, corn added EUR5.00/tonne and rapeseed gained EUR4.75/tonne. The continent therefore continues to perform better than the UK. The pound gained 1.1% against the euro during the course of the week, and is up by 6.4% versus the single currency since Apr 7th. Also supporting EU grains this week have been US corn prices at 10-month highs and Chicago soybeans and meal hitting their highest levels since 2014. 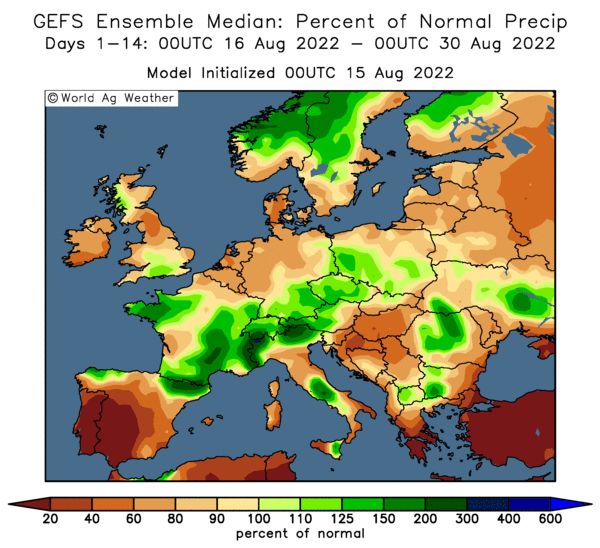 FranceAgriMer said that the French winter wheat crop was now 57% headed as of Monday, up from 31% a week ago, but behind 74% this time last year. Winter barley is now 100% headed (the same as a year ago - they'll be harvesting the early crop in south within a month). Spring barley is 7% headed against 5% a week ago and 12%^ a year ago. As far as crop conditions go, they're in decline, although still at historically fairly high levels. Winter wheat rated good to very good was down to 83% from 85% last week and 91% this time last year. Winter barley was 83% good to very good (down 1 point on last week and 6 below last year). The second weekly corn ratings of the year had the crop rated 85% good to very good, down one point on last week and 3 points below this time last year. Ukraine said that their 2016 corn crop was 97% planted on 4.37 million ha. Sunflower seed (99% done) and soybean plantings (88% complete) are also on the last leg. Russia said that they are 87% sown on spring grains. 26/05/16 -- EU grains mostly higher on better than expetced demand and lower 2015/16 ending stocks than originally feared. Front month Jul 16 London wheat closed up GBP0.20/tonne at GBP106.50/tonne, Sep 16 Paris wheat was EUR3.00/tonne higher at EUR163.25/tonne, June corn closed EUR1.50/tonne higher at EUR170.50/tonne and Aug 16 Paris rapeseed closed EUR0.75/tonne firmer at EUR374.25/tonne. Defra predicted that UK wheat exports would jump 42% to a seven year high 2.75 MMT in 2015/16. That figure might still be to low as the HGCA said it "may be conservative, with the current pace of exports". In a relatively late turn-up for the books Defra said that the UK exported nearly 1 MMT of grain in Jan/Mar - up 55% versus last season and a 13-year high for the period. UK 2015/16 ending stocks may well the be not so burdensome as many had thought then, especially if we factor in increased demand from the feed sector (and Ensus?) highlighted earlier this week. Does this signal the end of the hefty old crop/new crop spread then? It might well do too, as the current level of over GBP10/tonne still looks unsustainable, even if it is down on where things were. 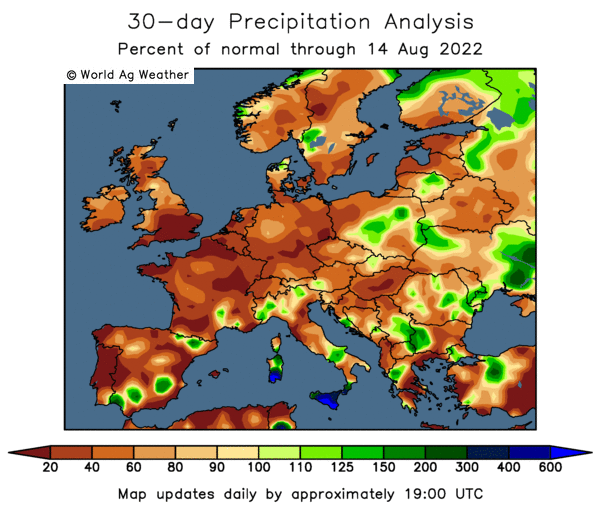 The EU Commission forecast the soft wheat crop here at 145.1 MMT, up from 142.8 MMT a month ago "as weather conditions have remained mild for the last weeks in Europe," said Agritel. They also noted old crop soft wheat exports rising 2 MMT versus last month. Weekly soft wheat export licences came in at 740,000 MT and are now 28.2 MMT versus 29.3 MT a yeat ago. EU rapeseed production in 2016 was forecast at 22 MMT versus 22.3 MMT a year ago. 25/05/16 -- Soycomplex: Beans and meal posted strong gains, with the front end leading the march higher. The continuous meal chart closed at its highest level since December 2014 tonight. 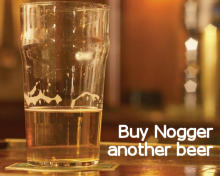 As far as tomorrow's weekly export sales report goes. Trade analysts believe 300,000 to 500,000 MT of soybeans were sold for 2015/16 delivery during the week ending last Thursday, and 300,000 to 500,000 MT were sold for 2016/17 delivery. Soymeal meal sales are estimated to be from 50,000 to 150,000 MT for 2015/16, and from 50,000 to 125,000 MT for 2016/17. Argentina's meal exports could be badly hit by lower production than earlier anticipated, it is thought. Jul 16 Soybeans settled at $10.85 1/2, up 30 3/4 cents; Nov 16 Soybeans settled at $10.54 1/4, up 25 cents; Jul 16 Soybean Meal settled at $407.20, up $18.30; Jul 16 Soybean Oil settled at 31.34, up 45 points. Corn: The market closed around 6-7 cents higher. Rising soybean prices at this point in the season aren't what the market wants or expects to stop corn sowings from falling. There's already talk of some 30-500,000 acres of intended corn not getting sown in the US this spring. There are issues for late planted safrinha corn in Brazil too. US weekly export sales for tomorrow are seen at around 1.0 to 1.3 MMT for 2015/16 delivery, and from 250,000 to 450,000 for 2016/17 delivery. China is auctioning off state-owned corn. Ukraine's 2016 corn crop is 96% planted. Jul 16 Corn settled at $4.04 3/4, up 7 1/4 cents; Sep 16 Corn settled at $4.07 1/4, up 7 1/4 cents. Wheat: The wheat market ended mixed, mostly a touch higher. Japan is seeking 135,049 MT of wheat from the US, Australia, and Canada in their regular weekly tender. Results expected tomorrow. UkrAgroCosult estimated Ukraine's 2016 wheat crop at 23 MMT versus 24 MMT from the USDA. Crop tours are ongoing there as week speak, so more information expected on that region very shortly. Russia's Ag Min said that they'd produce 106 MMT of grain this season, up from an earlier estimate of 104 MMT. Both countries are expected to have exports at or near record highs in 2015/16. Weekly export sales for tomorrow are seen at zero to 200 TMT on old crop and 300-500 TMT on new crop. Jul 16 CBOT Wheat settled at $4.66, up 2 cents; Jul 16 KCBT Wheat settled at $4.51, up 4 1/2 cents; Sep 16 MGEX Wheat settled at $5.29 3/4, down 1/4 cent. 25/05/16 -- EU grains traded mostly firmer, with Jul 16 London wheat down GBP0.90/tonne at GBP106.30/tonne, Sep 16 Paris wheat was EUR0.75/tonne higher at EUR164.25/tonne, June corn was up EUR0.25/tonne to EUR169.00/tonne and Aug 16 rapeseed closed EUR2.75/tonne higher at EUR373.50/tonne. The trade is adjusting anticipated EU 2015/16 carryout lower than was forecast a few months ago. News that Ensus are to re-open for a trial period in Jul is adding a bit of support to old crop, which may spill over into new crop too. Total demand for cereals in UK animal feed production in 2015/16 has been revised up by 1.3% compared with earlier estimates according to the latest Defra UK Supply and Demand estimates released yesterday, noted the HGCA. A pick up in exports since the close of the first quarter will also help a little those that are still carrying old crop grain. It's a similar situation on the continent, where Strategie Grains last week increased potential EU-28 2015/17 soft wheat exports, and reduced ending stocks accordingly. Prospects for 2016/17 production still look good though. The Russian Ag Min today increased his forecast for this year's total Russian grain crop from 104 MMT To 106 MMT. 24/05/16 -- Soycomplex: Soybeans closed lower for a second day. With US spring plantings well advanced, and no sign of a weather scare there just yet, if knocking 2-4 MMT of Argentine production potential this year is enough to sustain beans above $10/bu - especially given fund length in beans. India’s soybean production is expected to fall 1.2 MMT in 2016 despite a good monsoon forecast. The USDA that 140,000 MT of US soybeans were sold to unknown destinations this morning for 2016/17 delivery. Jul 16 Soybeans settled at $10.54 3/4, down 3 3/4 cents; Nov 16 Soybeans settled at $10.29 1/4, down 7 cents; Jul 16 Soybean Meal settled at $388.90, up $1.20; Jul 16 Soybean Oil settled at 30.89, down 26 points. 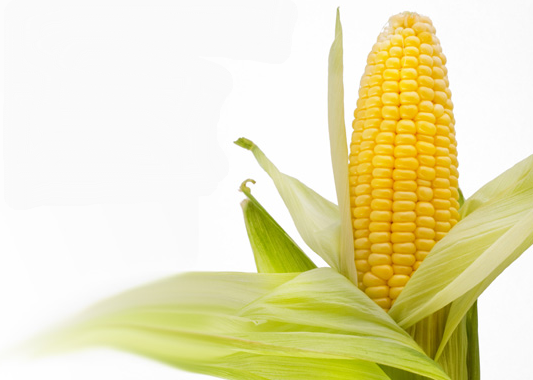 Corn: The corn market closed with little change. US spring corn planting is on schedule and winding down. There's talk of one or two delays seeing maybe 300,000 acres switched into beans. Both Nebraska and Kansas are only 1 day away from their final plant dates for corn for insurance purposes. Both had 10% of their 2016 corn crop still to plant as of Sunday night. Ukraine said that they'd exported 15.5 MMT of corn so far this season and will end up shipping out 19.5 MMT. Plantings for the 2016 Ukraine corn crop are said to be 96% complete. Higher Ukraine output and thus increased exports might be possible in 2016/17. Jul 16 Corn settled at $3.97 1/2, down 1/4 cent; Sep 16 Corn settled at $4.00, up 1/4 cent. Wheat: The wheat market closed mixed. Jordan finally bought 100,000 MT of optional origin hard wheat in it's on-off tender. The price paid was reported at $203/tonne C&F for October shipment. El Nino is over, says ABARES, and the chance of that turning into La Nina is 50:50 they add. Expert opinion is divided what impact a fully-fledged La Nina has on US cropping. Some say it is a drought bringer for the US southern Plains, but this year that development, should it occur, could come too late for 2016 winter wheat. EU crops look on target for a good if not record season this year. Exports out of the region also remain strong, if not matching recent record levels. Jul 16 CBOT Wheat settled at $4.64, up 2 cents; Jul 16 KCBT Wheat settled at $4.46 1/2, down 1/2 cent; Sep 16 MGEX Wheat settled at $5.30, down 1 1/4 cents. 24/05/16 -- EU grains finished mixed at the close on Tuesday, with Jul 16 London wheat down GBP0.25/tonne at GBP107.20/tonne, Sep 16 Paris wheat up half a euro at EUR163.25/tonne, June corn was EUR1.75/tonne higher at EUR168.75/tonne and Aug 16 rapeseed was up EUR1.50/tonne to EUR370.75/tonne. Black Sea exports continue at a brisk, if not frenetic, pace. Ukraine said that they have now exported 34.616 MMT of grain so far this season, including 14.6 MMT of wheat, 4.25 MMT of barley and 15.48 MMT of corn. Thy will finish the season with record grain exports of 39.87 MMT, including 15.16 MMT of wheat, 4.23 MMT of barley and 19.5 MMT of corn, they added. Ealry spring grain planting in Ukraine is over, and corn planting is now 96% done, said the Ag Ministry. Sunflower (97%) and soybeans (85%) plantings are winding down, they added. Russian spring plantings are 78% down on 24.9 million ha 22.4 m ha last year to date. EU 2016 yield and production forecasts edge higher, weather will be the key final yield determining factor from hereon in, Conditions look largely favourable at the moment. Jordan finally bought 100,000 MT of optional origin hard wheat in it's on-off retender. The price paid was reported at $203/tonne C&F for October shipment. Morocco is in the market for 133,000 MT of domestic material in a tender. Australia's ABARES said that the strongest El Nino weather event in 19 years is now over. Concerns now are that it will be followed by a La Nina event, which typically brings wet weather to Asia and parts of South America too (especially Argentina) along with historic flooding to QLD/NSW. Some also link La Nina to a dry summer in parts of the US. 23/05/16 -- Soycomplex: Soybeans closed with sharp losses as weekly export inspections of only 77,372 MT this morning did little to support. A week ago these were 302,193 MT. The USDA showed 56% of the US soybean crop had been planted as of Sunday and had emergence at 22%. The trade had been looking for sowings at 55%-65% done. Jul 16 Soybeans settled at $10.58 1/2, down 15 3/4 cents; Aug 16 Soybeans settled at $10.57 3/4, down 15 3/4 cents; Jul 16 Soybean Meal settled at $387.70, down $5.00; Jul 16 Soybean Oil settled at $31.15, down 12 points. Corn: The corn market closed around 3 cents firmer with weekly export inspections of 1.076 MMT in line with expectations. The EU's MARS reported potential 2016 corn yields there at 7.31 MT/ha, up 3.5% on a month ago and 5.6% above the 50-year average. At 86% complete the USDA had US spring corn plantings 11% higher than last week, one point ahead of the 5 year average of 85%, but 4 points down on a year ago at this time. The crop was shown at 60% emerged, vs 69% last year 55% for the five year average and 69% this time last year. A Bloomberg survey had the trade looking for 88% planted on average. Jul 16 Corn settled at $3.97 3/4, up 3 1/4 cents; Sep 16 Corn settled at $3.99 3/4, up 3 cents. Wheat: The wheat market closed lower. Weely export inspections of 301,271 MT were smaller than both last week and the same week last year. The EU's MARS reported potential 2016 soft whet yields there 6.11 MT/ha, unchanged from last month, but up almost 5% on the 5-year average. Production estimates in Europe keep getting nudged higher. The USDA had the winter wheat crop for 2016 art 75% headed versus 66% on average and 74% a year ago. They left winter wheat crop conditions unchanged on a week ago at 62% good to excellent (45% a year ago). Spring wheat is 95% planted, and 78% emerged; both figures are still well-ahead of their respective fiver year averages. Jul 16 CBOT Wheat settled at $4.62, down 5 3/4 cents; Jul 16 KCBT Wheat settled at $4.47, down 2 cents; Jul 16 MGEX Wheat settled at $5.27 3/4, down 3 cents. 23/05/16 -- EU grains mostly lower, with fresh news scarce. New front month Jul 16 London wheat closed down GBP0.40/tonne at GBP107.45/tonne, Sep 16 Paris wheat was EUR0.50/tonne lower at EUR163.00/tonne, June corn closed EUR0.75/tonne higher at EUR167.00/tonne and Aug 16 Paris rapeseed closed EUR0.50/tonne lower at EUR369.25/tonne. The latest MARS Crop monitoring in Europe Bulletin, published today, reports that the current prospects for EU-28 yields are generally above the five-year average, despite a cold spell at the end of April. EU soft wheat average yields were pegged at 6.11 MT/ha, unchanged from last month, but up almost 5% on the 5-year average. Total EU-28 barley yields were forecast 1% higher than a month ago and up 5.7% on the 5-year average at 4.99 MT/ha. Rapeseed yields were pegged 1.8% lower than previously at 3.29 MT/ha, but still a 2.6% increase compared to the 5-year average. "The first two weeks of April were exceptionally warm in south-eastern, eastern and parts of central Europe. Maximum daily temperatures reached 25°C to 30°C, and even exceeded 30°C in several regions of the South-East," they said. "A cold spell at the end of April affected many regions of central Europe, parts of western Europe and the northwestern Balkans. 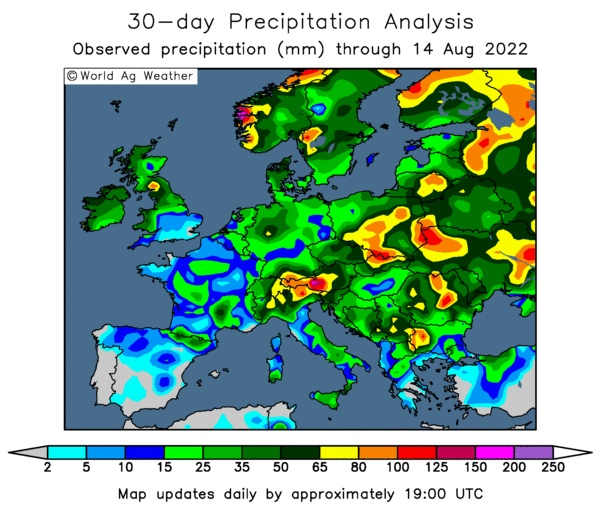 Sparse rainfall was recorded in northeastern Germany, north-western Poland, southern France, southern Greece and Sicily," they added. In the UK Specifically: "Rainfall and temperature conditions strongly fluctuated during the period of review. 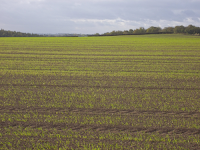 Sowing was delayed due to wet conditions and a cold period stalled development. 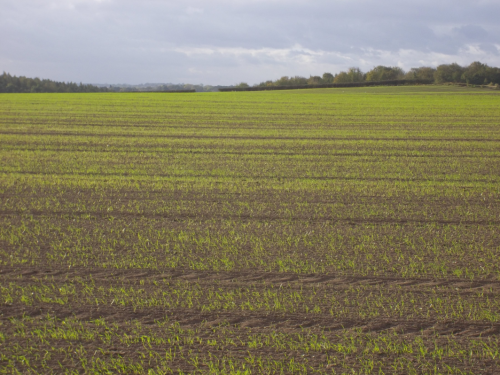 May, so far, generally presented favourable conditions, allowing spring sowings to be completed and young stands to recover. Yield outlooks remain close to average. "Winter crops are faring well. Development is slightly advanced in most of the UK and close to average in Ireland. Pest and disease pressure remains high," they noted. W/E 20/05/16 -- Soycomplex: Beans closed mixed. Meal finished with strong gains at the front end. Crop losses caused by flooding are projected to reduce Argentinean soybean exports in 2015/16 by 25%, according to local consultant Globaltecnos. They see these at only 8.5 MMT versus the current USDA projection if 11.4 MMT. In Argentina domestic prices are reported up by +44% since the beginning of April on heavy rains earlier in the season. Jul 16 Soybeans settled at $10.74 1/4, up 2 3/4 cents; Nov 16 Soybeans settled at $10.49 1/2, down 4 cents; Jul 16 Soybean Meal settled at $392.70, up $14.60; Jul 16 Soybean Oil settled at 31.27, down 64 points. Corn: The market closed around 2-4 cents higher. The USDA announced the sale of 125,000 MT of US corn sold to Columbia this morning for 2015/16 delivery. Dr Cordonnnier said that Farmers in Mato Grosso could be facing their lowest safrinha corn yield in five years and certainly the worst since GMO technology became important for the safrinha corn crop in Mato Grosso in 2010/11. Yields in the state ate forecast down 16.5% this year. 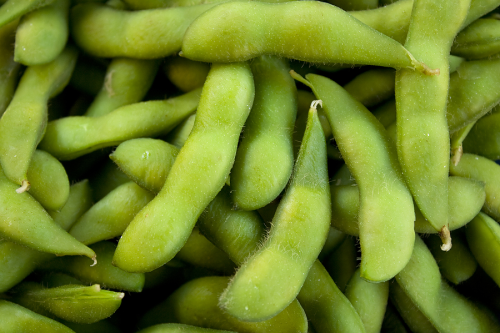 "Hot and dry conditions during November and December severely impacted the soybean crop. After a disappointing soybean crop, farmers were hoping for good weather during April and May to give them a good corn crop, but that did not happen either," he said. Jul 16 Corn settled at $3.94 1/2, up 4 1/2 cents; Sep 16 Corn settled at $3.96 3/4, up 4 1/4 cents. Wheat: The wheat market was mostly a tad lower. Japan purchased 121,357 tonnes of US, Australian and Canadian wheat at its regular weekly tender. Other supportive news was lacking. Europe raised the potential ixe of it's 20156/17 soft wheat crop again, at 146.7 MMT, up from a previous estimate of 144.8 MMT. Exports could reach 30.4 MMT, they predict. "It flagged stocks to come in at 14.7 MMT, a drop of 0.9 MMT from last month's estimates. The firm also noted that the lower prices were also stimulating consumption demand from the animal feed sector, which further contributed to the lower stock levels," noted Agrimoney. French winter wheat crop conditions are now said to be running a little behind year ago levels at 86% good/very good (91% this time last year). Jul 16 CBOT Wheat settled at $4.67 3/4, down 1 cent; Jul 16 KCBT Wheat settled at $4.49, up 1 cent; Sep 16 MGEX Wheat settled at $5.35 1/4, down 1/2 cent. W/E 20/05/16 -- EU grains traded mostly firmer to end the week, with May 16 London wheat up GBP1.00/tonne at GBP107.00/tonne, Sep 16 Paris wheat was EUR2.00/tonne higher at EUR163.50/tonne, June corn was up EUR1.00/tonne to EUR166.25/tonne and Aug 16 rapeseed closed EUR2.00/tonne weaker at EUR369.75/tonne. Brussels confirmed 928 TMT worth of EU soft wheat export licences this past week, taking the total for the season so far to 27.5 MMT. Which is now not too far short of the 29.0 MMT (record) volume granted at this time last year. Barley export licences were 173.000 MT for the week, and now total 9.1 MMT for 2015/16 to date, a rise of 8.3% on a year ago. Corn imports matched barley exports for the week at 173,000 MT. Season to date imports are 12.2 MMT against 8.2 MMT a year previously. The potential size of the 2016 EU soft wheat crop is creeping higher. French Analysts Strategie Grains now have that at 146.7 MMT, up from previous estimates of 144.8 MMT. 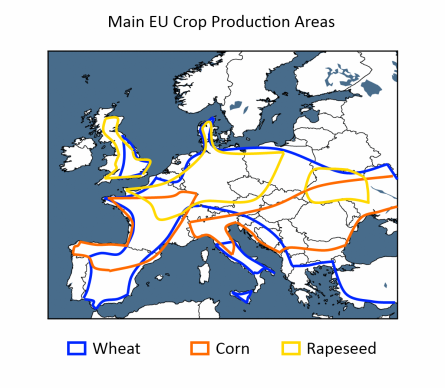 "Winter cereals exhibited excellent yield potential" in many of the key EU winter wheat cropping areas, they said. The rise will be tempered by lower than expected carry-in stocks, with 2015/16 exports now seen at 30.4 MMT, some 0.9 MMT higher than previously. They have the EU-28 2016 corn crop at 62.7 MMT, which is a 9% rebound from last year's drought-damaged harvest. Barley production will rise 1% to 62.5 MMT, they predict. FranceAgriMer estimated the French winter wheat crop at 31% headed as of Monday, up from 9% as week previously, but still 18 points below this time last year when crops were particularly forward. 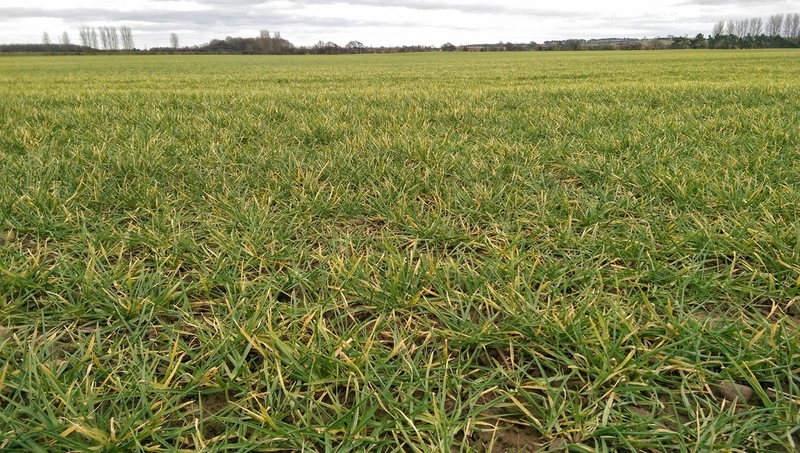 Winter barley is 95% headed against 56% and 99% respectively. French corn planting was cited at 91% complete versus 78% a week ago and 96% this time last year. In crop conditions French wheat was cut 1 point good to very god to 86% (91% this time last year). Winter barley ratings dropped a point in a week to 84% good/very good (90% a year ago). Spring barley was 93% good to very good versus 95% in 2015.